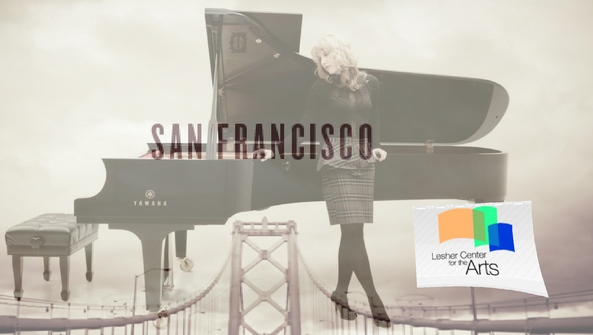 The Lesher Center for the Arts in Walnut Creek (CA) - located in the bay area just East of San Francisco - has awarded singer, pianist and composer SARAH McKENZIE with a highly paid composition commission to compose a full concert length work based on the theme "San Francisco - Paris of the West". The work will get premiered at the Lesher Center on September 14, 2018 with an all-star line-up put together especially for this event. During much of its past San Francisco has been referred to (among others) as "Paris of the West". This was based on cultural influence, but also architecture of key buildings around the city. 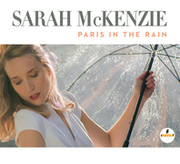 Sarah´s knack for everything French is well documented in her last two albums ("Paris in the Rain" and "We could be Lovers"), and as a composer in the style of Cole Porter, Irving Berlin or Rogers & Hart she has had a number of hit tunes already ("Quoi, Quoi, Quoi", "Paris in the Rain", "We Could Be Lovers", "One Jealous Moon", "Don´t Tempt Me"). As a Berklee College of Music student Sarah has lead a workshop at the Lesher Center for the Arts in 2014 and impressed the directors to entrust her with this commission, which is the first of its kind for the Lesher Center for the Arts. Sarah records for the Impulse! (Universal) label and is signed to Universal Music Publishing in France. She just recently performed to 7.1 million people on the "Encontro com Fátima Bernardes" television show in Brazil and performed at the world-renown Montreux Jazz Festival this summer.